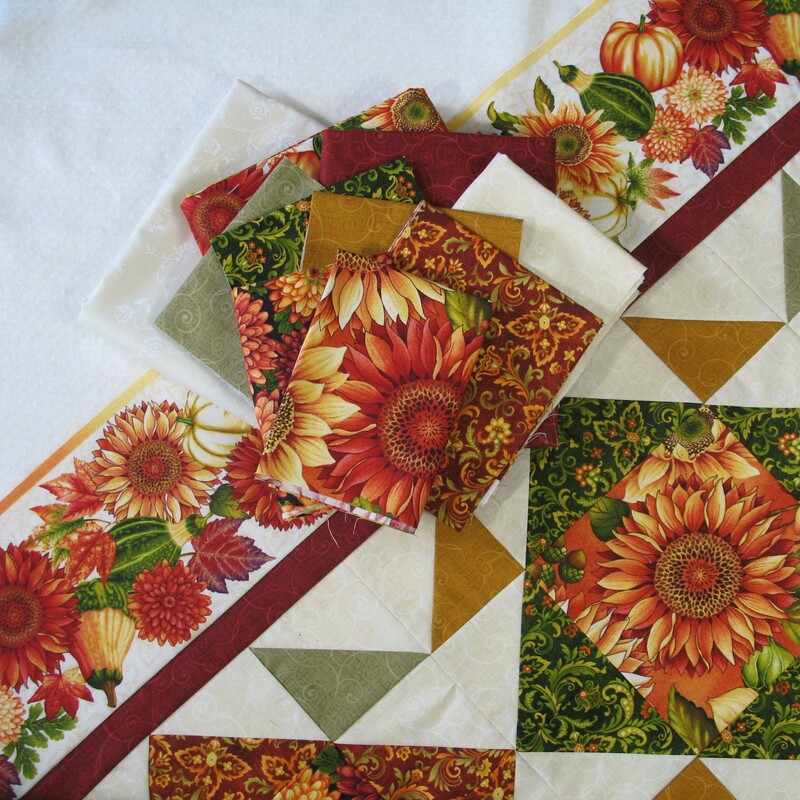 Gorgeous fall-inspired fabrics make up this kit that's sure to win compliments! Kit includes fabric (including binding and backing), batting, pattern, and 4.5" square up ruler. Table runner finishes at 49" x 25". 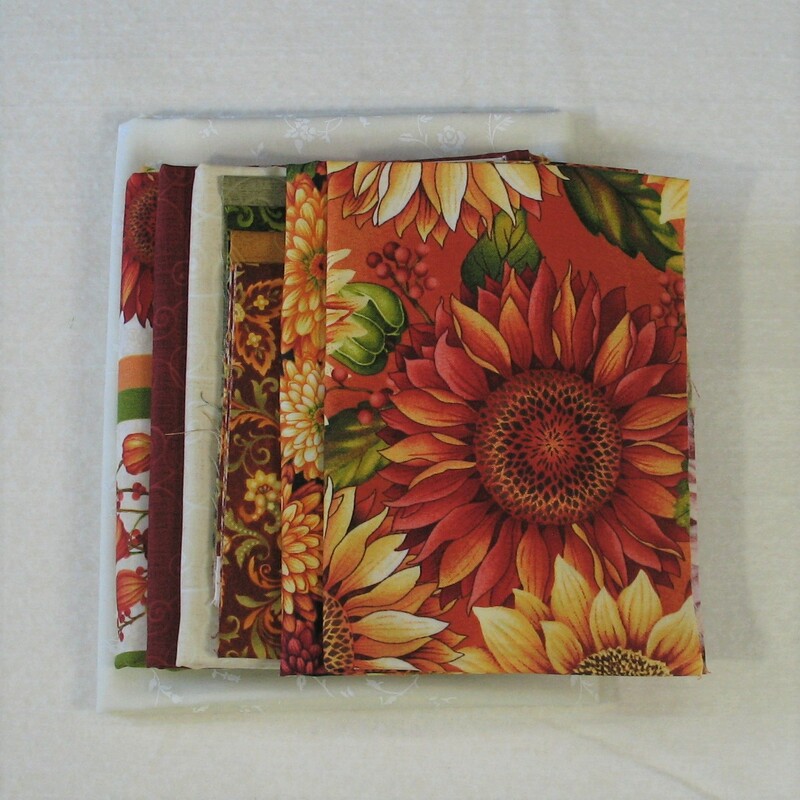 The fabric is from the "Autumn Album" collection by Color Principle for Henry Glass Fabrics. 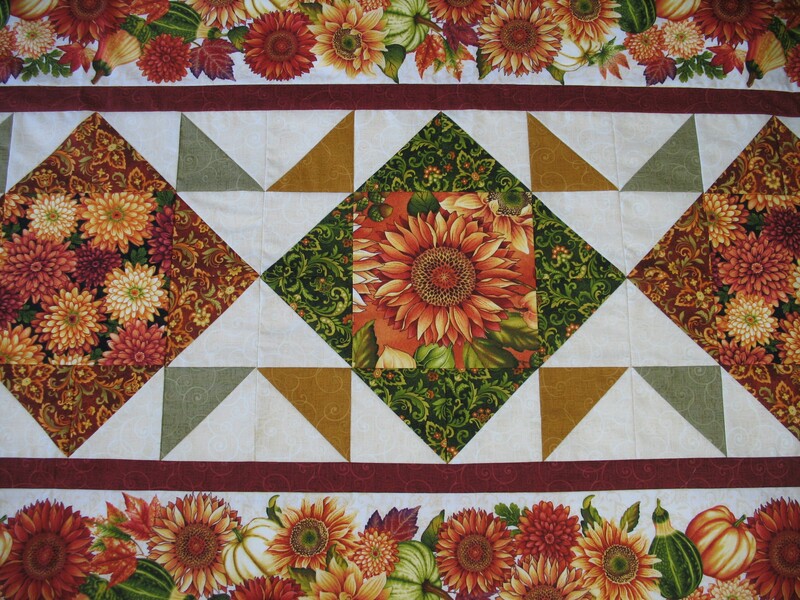 The pattern is designed by Heidi Pridemore.